It is great to see some new businesses open on Taylor Street. This is a positive move forward for our community and we should all make it over to these establishments and check out what they have to offer. Let’s welcome MINT Clothing, 1058 W. Taylor and its 3rd generation Taylor Street resident and owner Marco DiPaolo. 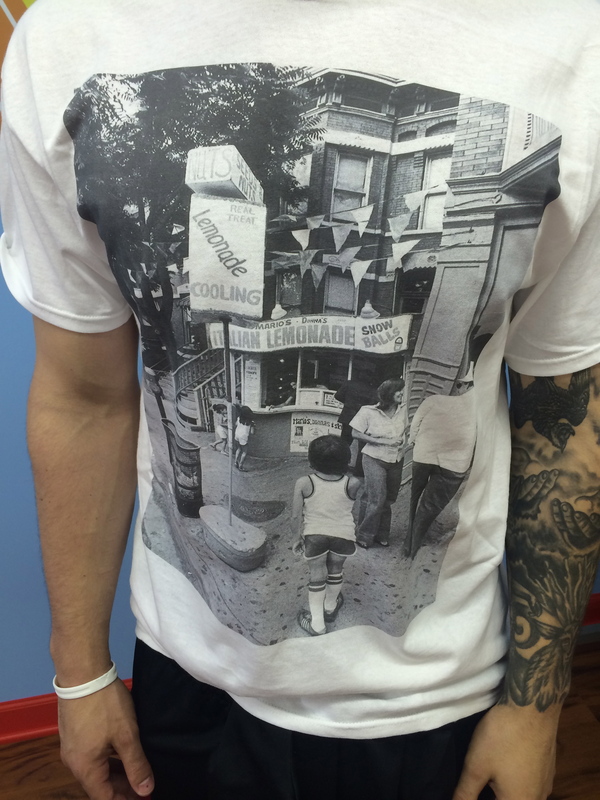 An urbanwear boutique, MINT Clothing features great looking graphic t-shirts (check out below the 1977 black and white picture of Mario’s Lemonade Stand printed on a tee), athletic wear, fun socks for men and women, hats, pants, Chicagowear, backpacks, wallets and more to come. Marco wanted to incorporate art and clothing together and he has 2 wonderful murals done by artist Louie Rod in the store depicting his parents block on Taylor St along with a Chicago collage. Make certain you look for Marco’s father, Mario of Mario’s Lemonade Stand in the mural. According to Marco, his father loves seeing himself in paintings! Hours are noon to 8 pm. Open everyday and a few doors east of the Lemonade Stand. 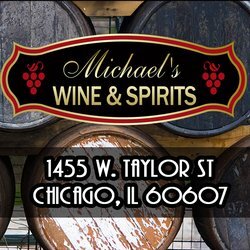 We also want to shout out a welcome to owner and local resident Mike Sharma and Michael’s Wine and Spirits, 1455 W. Taylor (between Laflin & Bishop). They carry a variety of imported and domestic beers, craft beers and micro beers along with a wide selection of fine wines and spirits. Need a fine cigar? Make sure you check out their assortment. Mike is passionate about craft beers and providing his customers with great service. Hours are Monday-Wednesday noon to 10 pm, Thursday-Saturday noon to 11 pm. Closed on Sunday. SHOP SMALL..SHOP LOCAL..SMALL BUSINESSES ARE VERY MUCH A PART OF OUR COMMUNITY! ← UIC an Accidental Sports Center on the world stage?